Even in Miami where everything is about flash and style, this Pershing 64 stands out among all of the super yachts. With a powerful sound system (80,000 watts) and advanced lighting system, Ticun turns heads up and down the docks. 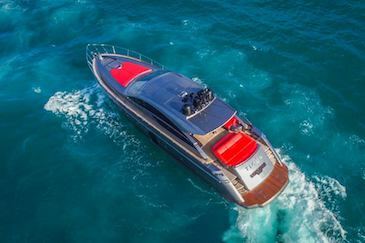 With an elegant design and a top speed of 44 knots this yacht offers comfort with the ability to travel to exotic destinations. A very comfortable three stateroom three head layout can accommodate 6 guests overnight.